NO MATTER HOW "HIGH TECH" WE BECOME.... REAL ESTATE IS STILL A LOCAL BUSINESS. "Reiner was great to deal with, his knowledge of construction and home repairs made him perfect for assisting us in marketing the home we sold and purchasing a new home. We have also discussed having him help us start investing in rental homes with his experience as a landlord himself and having done several flips we feel he will be an asset on our team. You cannot go wrong with Reiner whether you are selling, buying or investing." "Someone referred us to Laura Farrell and we soon learned that she is a champion of people. It is evident she enjoys helping her clients and makes the process enjoyable and not frustrating. She listened to our needs and worked tirelessly to find us the perfect home. We had many questions and concerns and she always (and we mean always) answered with patience and expertise. We were so impressed that whether we communicated with her through email, text, or voicemail she was always quick to respond. Her many years of experience and passion bring the best negotiating skills and customer service in the business. We would recommend anyone seeking a realtor to chat with Laura." - A.E. "Laura and Robert were not only professional, effective, knowledgeable and available...they really took our core values into consideration and were great mentors as we navigated the process of home purchase for the first time." -Z.R. "Ardmore realty really listened to our wants and needs. I felt completely comfortable throughout the entire process and ultimately they helped my family and I find the perfect home. I will highly recommend them and will not hesitate to call them with any future real estate ventures. Thanks Ardmore realty!" "WHEN WE WERE LOOKING FOR A HOUSE IN ARDMORE , WE CONTACTED REALTOR LAURA FARRELL OF ARDMORE REALTY. SHE WAS VERY KNOWLEDGEABLE OF THE AREA AND WENT ABOVE AND BEYOND TO FIND US THE PERFECT HOUSE. SHE WAS VERY PERSONABLE AND LISTENED TO OUR WANTS AND NEEDS. WE WOULD RECOMMEND LAURA TO HELP YOU FIND YOUR PERFECT HOME." - A.R. "Laura was great to work with in the home buying process. She was the agent for the seller but she very helpful to me as the buyer. Her response time was excellent and she worked with my schedule." "We want to take a moment to express our sincere gratitude for Ms. Ferrell. Since we began working with her in May 2016, she made the selling of our rental home easier than imagined! With her helpful tips, staging and ideas the home sold in less than three months! We are so thankful for her! She has been so wonderful through this entire process! She went over and beyond what was required or expected! Thank you to Ms. Ferrell for everything you have done for us! We sincerely do not know what we would have done without you!" "I had a great experience with Ardmore Realty. Robert did an excellent job working through the sale of my house and working with any issue that came up through the sale process! I would highly recommend using Ardmore Realty if I was looking to buy or sell in the Winston Area." "Laura listened to my needs in showing me homes to buy for a rental investment property. Great knowledge of the market. When the process got bogged down by the seller and her agent, Laura persevered and helped push it through closing. Will certainly use again!" "We began our search with Laura Farrell at Ardmore Realty after many recommendations from fellow “Ardmorians”. We already lived in and loved the neighborhood, and so also wanted to support a neighborhood business. We showed up on a whim at Laura’s doorstep one rainy afternoon. From the very beginning, she treated us like old friends. As first time home buyers, we were nervous and needy. We were highly impressed with her responsiveness. Laura was always immediately available to us either by phone, email, or text, typically responding to us within a couple of hours. If we asked to see a house, she had us in it within a day, and she set up appointments for us to see homes not yet on the market that she felt met our qualifications. While we fumbled a bit with what we thought we were looking for in a home, Laura was able to pick up on our story and every single home she showed us was worth our time. She is extremely knowledgeable about the neighborhood and the types of homes here. She was able to answer questions about typical issues encountered in this neighborhood, and was very open about problems known to a home we were seeing; (she has been working in Ardmore long enough that she has helped buy and sell many of the homes here more than once.) We felt many times overwhelmed by the prospect of buying our first home. Laura never made us feel rushed, or that we asked too many questions. She let us know when something was a big deal, and gently reined us in when we freaked out over nothing. She fought very hard negotiating our contract, and in the end, she seemed genuinely excited for us that we found our perfect home. Laura was uncanny in her ability to read who we are and respond in a way that made us feel safe, valued, and prepared for the big step of home ownership. We highly recommend her to anyone looking to buy, sell, rent a home in Ardmore and surrounding areas. She will be the first person we call the next time we need a realtor!" "Very professional, great knowledge of the market. Robert was very friendly, and gave good advice throughout the process, and went the extra mile to complete the deal." "We are so glad that we knocked on Laura's door on that random day in January! We have always felt like Ardmore was our home. We have been so pleased with her dedication, knowledge, and experience with this real estate market, but most of all her kindness. It's a huge leap of faith to go through this process for the first time, but every time we jumped off the next cliff of the house buying mountain, we found that she had already fitted us with parachutes! Every time we needed to cry, vent, or share excitement; she was right there to share with us (even though we knew she had dozens of other people needing her just as much). We have been so lucky to have had the opportunity to work with her on this fun and exciting journey. She will always hold a special place in our hearts!" "Reiner and Laura walked me though the whole process of buying my first home. They were very knowledge about history of houses and would point out if there were any problems with them during the showing ." "Great buying experience! I got quick responses to calls and e-mails, meetings were on time, the negotiated price was very favorable, and the closing process was painless with all the inspections. I would definitely recommend Ardmore Realty. They work hard for their clients." "I was relocating from out of state (Florida), so I really needed someone who had a lot of local knowledge. You won't find anyone who knows more about Ardmore than Laura! She was super helpful from start to finish. In fact, she was helpful even before we were customers, when I happened to ask her about rentals in the neighborhood. Later, when we decided to buy a home, she was the obvious choice. 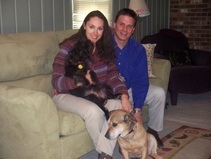 We have been very happy with our home purchase in Ardmore." "These folks are wonderful! Very professional and very knowledgeable. They worked hard to keep everything on schedule. They always did what they said they were going to do and never had to ask on the progress. Great communication and trustworthiness." 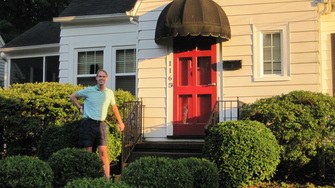 "As young, first time home buyers, we knew nothing (except that we wanted to live in Ardmore). Naturally, we took to the internet and started looking at some listings. In the first couple days of looking, we saw a few house which were shown to us by different agents. We weren't impressed at all with the properties or with the agents. Then, by chance, we wanted to see a house listed by Ardmore Realty. We called up Robert. From that very first phone call, he was as helpful as could be. He and Laura showed us a whirlwind of houses in a couple of days, and we honestly could have bought any one of them. They showed us properties we liked and could afford. Suddenly the process was exciting and not so frightening. They hooked us up with every professional we needed along the way in order to complete the purchase process. We were especially impressed with how accessible Robert was. He would respond to our emails, texts and phone calls late at night and early in the morning. He made sure we were comfortable with every single detail as we went through the process. We would recommend Ardmore Realty to anyone, but especially to the residents moving to work at WFUBMC. Robert and Laura even understood the match process. Can't beat the attention they paid to us!" "I cannot imagine a better experience selling my house! Robert and Laura gave sound advice. They answered every one of my many questions, then found the perfect buyers for my beloved home place in Ardmore and sold it in 8 days! They helped us to buy the exact house we wanted and needed in Kernersville, and have made friends for life in us." "Reiner has sold us two homes in the last year. He is very thorough and quick to provide followup to any questions we had. His extensive knowledge in property management and home repair was very helpful. We highly recommend his services and would use him again for a home purchase or sale." We lived in the unenviable position of having a home that simply would not sell. For 7 years we tried to sell our house in Ardmore. We had three different agents try to get it sold. No one could get it done! That is until we met Laura Farrell and Robert Newman at Ardmore Realty. Laura and Robert are a mother and son team that got it sold. Laura advised us through the listing process. She knew exactly how to modify our home to get it sold. She suggested minor improvements that made a big impact. Robert was there with us from the time we listed to the time it sold. He was a professional throughout—always keeping us up-to-date on the feedback gained from listing appointments, smartly advising us on how best to negotiate the sale price after we received the offer, and graciously guided us through the inspection and closing process. If you have a home to sell in Ardmore, we recommend that you contact Robert Newman and Laura Farrell at Ardmore Realty! Rob was amazing to work with. Short story - you should give him a call. Rob was always available and prompt to respond to my questions. Between him and Laura, they know Ardmore backward and forward, which helped us find the best house, in the best area for the best price. They went above and beyond in every aspect of the process. They happily showed us home after home, helped us find contractors for repairs, an inspector for closing, and continue to check in now that we own the house. If you are looking to buy in Ardmore, they are the experts of Ardmore and of old homes! "Rob and Laura were beyond helpful to us in finding and purchasing a home for our family of four. They are extremely knowledgeable and always kept us informed throughout the process. They are also very warm and friendly people, and great with our two small children!" "My wife and I highly recommend Robert Newman and Laura Farrell at Ardmore and Winston Salem Realty. They took the time to help us focus on what we wanted and orient us to what was available in the market. As a result, we were shown properties that fit our needs and wants. We were never pressured. Quite the contrary, Robert and Laurel were patient and thorough as it was clearly evident that they wanted us to make a good decision. Once we decided on a purchase, they guided us through the process of buying a home and went the extra mile in making certain that everything was as we wanted. Robert and Laura Farrell are very personable, conscientious and thorough professionals." "Laura Farrell sold my Ardmore house in January 2015. If you have an Ardmore house to sell, look no further. You've arrived at your destination. Throughout an inherently stressful process, Laura showed a combination of compassionate professionalism, deep knowledge of the Ardmore neighborhood, willingness to go beyond the call of duty, cheerful persistence, and genuine pleasure in her work. Because she enjoys what she's doing, Laura approaches real estate from many angles--teaching a variety of classes, or rehabbing properties, or running a professional trade organization. For a stress-prone person like me, this top-to-bottom knowledge of the whole field provided a clear and reassuring foundation of confidence during the inevitable twists and turns of selling our house. Since we no longer live in Winston-Salem, Laura's extra attention to every detail of rehabbing, marketing, and actually selling the house was utterly invaluable. We couldn't have done it without her. And that's the truth. Laura and her staff are the prize "10" on a 1-10 scale. They are the A++ on your final exam. And because of this, we are house-less and grateful and quite amazingly sane. Laura and Ardmore Realty are simply the best." "Laura Farrell and the staff at Ardmore Realty are true professionals with a wonderful flare for making the stress of selling your childhood home turn into as painless a process as possible. From the very beginning, her help with everything from remodeling, staging, to marketing the home was extraordinary. Being that my family does not live in Winston-Salem, we would not have been able to do everything without the superb assistance from Laura and her staff." "I met with Ardmore Realty when I first wanted to list my house and was very impressed, yet went against my gut and ended up going with a larger company instead. After being thoroughly disappointed with the level of attention and effort put into selling my home, from the photos to the limited contact to the poor effort in showings, I ended my contact and contacted Laura and Robert instead. I was pleased to find that my initial instincts were right. They were active, focused, and kept me updated constantly with what they were working on. I got an offer the same day the home was staged, which was almost a shame as they did an amazing job with that as well. Robert gave me immediate feedback and honest advice throughout, and I would strongly recommend them to anyone that asks!" "When we decided that it was time to get serious and buy a house, we moved quickly. We had been living in Ardmore for 6 years already, and knew that we wanted to stay, so it was an easy choice to go with a realty company that has expertise about and calls Ardmore home. We met Laura and Robert just a couple days after deciding to start looking at homes. In the next several days, we were in constant contact with them on potential houses; we probably looked at 7 or 8 before Laura sent us the perfect listing, just 6 days after we decided to buy, and the same day the house went on the market. We were able to get in to see the house the following day, put in an offer, and closed several weeks later. We moved quickly and Ardmore Realty moved with us. We always had the sense that they understood the neighborhood, and more importantly, they took the time to understand us and what we needed out of the experience. Thank you Laura and Robert, we would recommend you to anyone looking to buy in Ardmore!" Chris J. "My family inherited a house and property in Ardmore about one year ago. We listed the property with a BIG upscale Realtor. The house was listed under 100,000.00. This house was “move in ready”. Yes, it could have had many updates and BIG Realtor was quick to point this out and make many expensive suggestions. We opted to ignore the “updates” and sell “as is”. The suggestions were only cosmetic. For six months all we heard from the realtor was make some updates and reduce the price. It was listed as an “Investment Opportunity”. We received very little attention from this realtor and maybe one or two “low ball offers”. Time to change realtors! We contacted Laura Farrell, “I Love Ardmore”. Our first meeting went well and she too offered suggestions and we were quick to point out “as is”. Laura made several suggestions on how she could market the property better and capitalize on the positive aspects of the house and property. Even before we signed a contract she was actively showing the property to potential Investors. Laura made many pictures of the home and property and listed on MLS within a day. Within 2 days of signing the contract to sell, Laura brought us 3 offers. One at full asking price. We could not believe how diligent she was working. She had assured us on her first visit she could sell the house. Music to our ears! Within 45 days the house was closed. I would highly recommend you contact Laura if you want to sell a house. She's very diligent, hardworking and most of all she keeps you updated on how everything is moving along with the listing on a regular basis. We could not have asked for more. If it is time for you change Realtors, call “ I Love Ardmore” they can make it happen! " - John R.
"Laura had helped us buy some property earlier in the year. So, when it came time to sell our old house, we decided to go back to her for her expertise and we were right! We met Bill as well, and both of them suggested easy, inexpensive improvements to getting the house ready for showing. Bill supervised the repairs very closely, was always approachable with any questions and sent us regular updates about viewings, etc. Our home was under contract within 2 weeks! "Thank you, Laura, for a relatively easy real estate experience! We were not expecting an enjoyable spring, trying to sell our house, while working from home with a toddler and a dog; however, Laura made it as quick and painless as possible. Her expertise through each stage of the transaction and willingness to work with our hectic schedule made all the difference! We most appreciate that she worked hard to sell our house before we officially listed it. We are immensely grateful!" We moved into this rental in August of 2011. If it weren’t for a job opportunity 3,000 miles away, we would still live here. You won’t find a better property at this price point in the city, and you will be hard pressed to find a better landlord than Laura Farrell anywhere. Laura renovated this duplex in 2011. The care and thought she put into the renovations are obvious: the fixtures in the bathroom are modern and attractive, the rooms are painted warm neutral colors, and the kitchen appliances are top of the line. Perhaps because of these thoughtful touches, 500 Corona feels more like “home” than any other place we have ever rented. Having our own yard also made this property unique and made it live much larger that its square footage suggests. In the fall and spring, we regularly ate or read on the lawn, and Laura was happy to let me install a small raised-bed garden where I have grown herbs and vegetables year round since we moved in. When we moved in, we didn’t appreciate the advantage of living in the Ardmore neighborhood. We feel safe here and living in Ardmore means you’re a part of a community. Turn left up Elizabeth Street and you will met scores of friendly people ready to welcome you into their homes, invite you to their block parties, and loan you a cup of flour. We had previously rented a unit in a large complex where we knew none of our neighbors. Living in a neighborhood and becoming friends with the people around us really improved our quality of life, and I can’t imagine ever going back to a living arrangement where I didn’t know and care about my neighbors. The location of this unit is great. We regularly walk to First Street Draughthouse, which is to say, we regularly walk home from one of our favorite bars in Winston-Salem! Whole Foods and the eateries surrounding it are just 20 minutes away by foot, and of course, even closer by car. Freeway Shopping Center, where you will find several restaurants, clothing stores, and Trader Joes, is a five minute drive, and it takes about the same time to get to downtown. Peter’s Creek Parkway is a bit of an eye sore, but does offer the advantage of easy access to both Interstate 40 and Business 40. We can get most places in Winston Salem easily and quickly because of our vicinity to the highways.Finally, Laura is an excellent landlord. Laura is well known as a realtor in the community, and we rented with her confident that she would care about her tenants to the same extent that she cares about her estate clients. She was always available to us by phone and email, and made repairs quickly. She was also very receptive to our needs. For example, when we moved in to 500 Corona, the front door was covered by mini blinds which slammed against the door each time it shut and obstructed the inside door knob. We discussed our frustration with the blinds with Laura, and she happily provided us with frosted contact paper to cover the window. She also had a fan installed in the bathroom to offer more ventilation. She is diligent about on-site maintenance work—we have never had a problem with pests. Laura is such a departure from your typical landlord, who is more likely to tell you to just “deal with it” than invest the time and money to make things right.We hope you enjoy your stay at 500 Corona! "Ardmore Realty did a great job helping us sell our house. Laura gave us good advice as to what improvements we could make to help it sell and they paid off so well, that we had an offer within days of going on the market. Laura always answered our questions very quickly and was very responsive to our emails and phone calls. We have already recommended Ardmore Realty to 3 friends!" Graham & Nicole L.
"There aren't enough words to describe Laura and her savvy knowledge of real estate. She is an extraordinary instructor and broker. She also has an incredible sense of humor and a joy to work with on sales. We were so blessed to have Laura as our Realtor! As first time homebuyers, moving far from home, she was patient with our many questions. Laura is very responsive. She's quick to return email and phone calls and fast at answering questions. She really understands the local neighborhood and knows what's important to her clients. When she found out we were making a quick trip to town, she arranged her schedule and couldn't have been more helpful in serving us as our Realtor. If you want a wise woman, this is your gal! We highly recommend her." "My daughters and I are finally HOME! After 3 years in NC, feeling unsure and wavering between moving back from wendst we came... we are truly ready to call NC .... to call Ardmore....HOME! Our biggest thank you to Laura Farrell, who not only helped us find a house to buy, but helped us to find a place that truly is home. We came across the house we bought on an unplanned Saturday drive through the Ardmore area. Though we were quite sure it was what we wanted, Laura took her time to educate us on the neighborhood, to show us other properties and simply put, to help us buy with complete confidence that this is, without a doubt, what we wanted and where we wanted to stay! Laura's knowledge and love of the Ardmore neighborhood is invaluable. She takes the time to know her buyers, and in doing so, is able to find the perfect fit, the perfect home! When I came home from work the other day, my daughters danced down the stairs saying, "Oh Mom ! We love this house! " It's been just two months, but I have a feeling it's something I'll continue to hear! Thank you Laura ! ! ! - Sharon R.
"Being new to the Winston Salem area, I needed a highly qualified broker with proven skills and knowledge of real estate. Laura surpassed my expectations. She was always there, patiently listening and providing support, so that I made the best choice for my family; she promptly responded to my abundant correspondences with honest advice. It was great to have a reliable broker on my side. Laura cared and fought for me to have the perfect house at the perfect price. I can confidently recommend Laura to all my friends and family and will work with Laura in all my future real estate purchases." "Laura, Steve and I would like to thanks you for all the help you gave us during the purchase of our first rental property. We were very green at doing this and you lead us through it all the way. We couldn't have done it without your expertise. Thank you so much." "Laura is outstanding! She makes you feel comfortable and wants you to succeed. She is truly sincere"
"Laura did a wonderful job of explaining what we needed to know in understandable terms and helped us to think about things that first-time buyers might not necessarily consider. 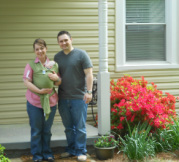 Laura never tried to push us out of our range, even though we were looking for a relatively inexpensive starter home." "Laura is very knowledgable, knows Ardmore so well and made the process fun with no pressure. She understood my 'type' of house and our needsvery much and did all she could to keep us focused and searching for just the right house. She was very patient with us and so helpful. Always very timely responses to emails and calls. Laura is great about this! She is fun, caring and very knowledgable. She helped us in so many ways that I really appreciate." D&L Constantino. "Our experience with Laura has been extremely positive. She is capable of teaching every topic in the 75 hour Salesperson pre-licensing course and every topic in the 45 hour Broker licensing course. Her extensive knowledge of the real estate industry allows her to be creative in developing and writing new courses and helping students at all levels understand concepts, practices and in general, bring it all together." Content copyright 2014, Laura Farrell. All rights reserved.